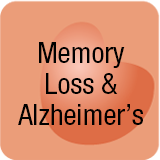 Memory loss screening and diagnosis by simple tests like the MMSE, MoCA, and SLUMS confirm a diagnosis of memory loss. Further investigation through neuropsychological testing, CT, MRI or PET scans, blood work to identify the APOE-4 gene, and reviewing medical history provides a more thorough diagnosis to allow identification of a treatment plan. If you had a diagnosis of memory loss, dementia or Alzheimer’s disease would you want to know? The answer to this question is controversial among health care providers and consumers. Some individuals believe, why diagnose when there’s nothing that can be done anyway. 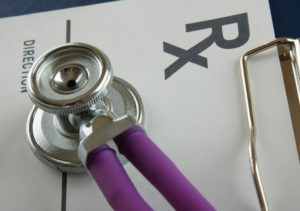 Others believe that a diagnosis should be made so that treatment, even though not curative, can be implemented. Physicians, depending on their familiarity with dementia are pro or against treatment. For some families, a diagnosis provides a sense of relief. Knowing is better than not knowing because at least there’s an explanation for the unusual and sometimes angry behaviors exhibited by loved ones. A diagnosis of dementia or Alzheimer’s can be offered to those on the outside who might wonder about the changes in a loved one. Knowing allows time to plan and time to grieve. A formal diagnosis of dementia brings the stark reality of the situation to life. Life will change. Dementia is irreversible and incurable.Time is allowed to plan for care situations that will occur. Having a formal diagnosis allows planning for the future rather than responding to crises that forces decision making and eliminate choices. Family members can provide support with planning through the creation of estate planning documents, healthcare discussions, and discussing costs of care. 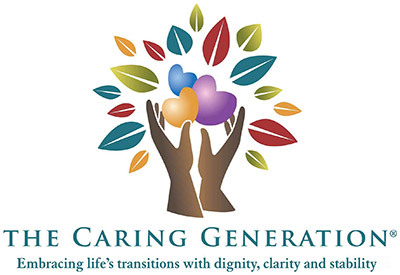 Learning about a loved one’s preferences for care today will avoid disagreements about care in the future. 50% of older adults over the age of 85 have dementia but are undiagnosed. For the individual, a diagnosis is only relevant if the diagnosis is made early enough to allow an understanding of the consequences and progression of the disease. Individuals who receive a diagnosis when no longer able to understand the consequences of the diagnosis, will require the appointment of a guardian and a conservator. Dementia is an umbrella term that describes memory loss. While Alzheimer’s Disease is the most common, individuals are often diagnosed with multiple types of dementia. Below is a list of the types with descriptions so that you can familiarize yourself with the different types of dementia. Thorough screenings by a neuropsychologist and a neurologist will provide the most comprehensive analysis regarding the type of dementia. According to the Alzheimer’s Association, Alzheimer’s is the most common cause of dementia with ranges from 60-80%. Difficulties include short term memory loss, difficulty remembering names, events, and word finding. Poor judgment and an inability to made decisions occur. Money becomes difficult to manage. Hygiene tasks go uncompleted. Weight loss may occur because the individual forgets to eat. Early mobility concerns may occur with walking, balance, and gait. As time passes communication becomes more difficult. Individuals become unable to respond in complete sentences. Sentences may be jumbled and may not make sense. As time passes more hand on assistance and reminding is needed for all activities of daily living: bathing, dressing, eating, toileting, and transferring. Simple directions about how to stand up from a chair or how to sit down will eventually be necessary. This activity is called “prompting”. Increased disorientation between day and night occurs. Behaviors may occur as well as depression. Physical abilities eventually decline. Speaking and eating become more difficult. Swallowing food may result in choking that then results in pneumonia. Toward the end of life, individuals with Alzheimer’s sleep most of the day. Food intake and the related body functions decline. According to the Alzheimer’s Association, vascular dementia alone accounts for about 10% of all dementia cases. It should be noted that 50% of individuals with Alzheimer’s disease also have a diagnosis of vascular dementia, meaning silent strokes or trans ischemic attacks, called TIAS or mini strokes that some and go quickly. Individuals with vascular dementia present with difficulties first related to decision making, planning, and organizing versus the forgetfulness associated with Alzheimer’s disease. Strokes are the main cause of vascular dementia. Difficulties with physical abilities also occur: a slow gait and poor balance. Dementia with Lewy bodies and Parkinson’s disease have similarities. According to the Alzheimer’s Association DLB begins with cognitive impairment. Parkinson’s disease begins with physical weakness and impairment. Individuals with DLB often have Alzheimer’s disease and may also have vascular dementia; this is called mixed dementia. Individuals with DLB will often have visual hallucinations, meaning seeing something that is or is not there. Sleep disturbances will occur as well as physical concerns. Slow walking, poor gait, and stiff movements may occur. As mentioned, when we were talking about Dementia with Lewy Bodies it is common for individuals to be diagnosed with several types of dementia. Fronto-temporal Lobar Degeneration includes BVFTLD, primary progressive aphasia, Pick’s disease, corticobasal degeneration and progressive supranuclear palsy. Persons with FTLD tend to be younger, between the ages of 45 and 64 years old. PPA impairs language abilities. Persons have difficulty speaking and understanding conversations. The most likely cause is FTLD or Alzheimer’s disease. Parkinson’s disease is a movement disorder that extends to symptoms of dementia with the passing of time. Initial concerns are with movement. Slow walking speed, body rigidity, tremors, and shuffling of feet occur. Individuals with Parkinson’s disease often speak with a soft voice that can be difficult to hear. A loss of expression also occurs in facial expressions where there may be a flat affect which means an inability to express emotion through use of the face and facial muscles. Due to the significant changes resulting from the disease, depression and fatigue become common. Over time physical weakness eventually results in a need for total physical care including feeding and support with transfers that is similar to individuals diagnosed with dementia. Creutzfeldt-Jakob disease is an extremely rare disease affecting 1 person per million per year. (3) It is characterized by dementia and ataxia which is a lack of motor coordination. The disease is rapidly fatal. Normal pressure hydrocephalus is characterized by fluid build up in the brain. According to the Hydrocephalus Association symptoms include gait disturbances, impaired bladder control, and dementia. (94 Treatment occurs by placing a surgical shunt in the brain to divert brain spinal fluid into another region of the body. For more information visit the Hydrocephalus Association website. The main benefit of knowing the diagnosis for families wishing to be proactive is that having a diagnosis allows more time to discuss health care needs and available finances. More time allows the opportunity to prepare legally to assign medical and financial powers of attorney as well as the opportunity to discuss the aspects of a living will and end of life care. Another benefit for caregivers is the opportunity to access support early, whether this is through support groups or education. Knowing allows discussion of feelings of impending loss. In my opinion, early diagnoses allows early intervention and planning for both caregivers and family related to the short and long term consequences of the disease. Making a plan for care needs, understanding options,and costs is extremely important and very wise for both families and the individual diagnosed with memory loss.